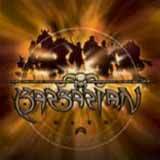 With its perfect blend of exhilarating fighting and deep RPG storytelling, Barbarian will take you further than any fighting game has ever taken you before! Heroes of Barbaria have waged war since the dawn of time, ravaging the Earth as they battle with weapons and magic alike! Their motives to stop the madness forged by the evil Zaugg are more than ending his growing power. Who they are, why they quest, and what they will become is destiny. Only one has the power to succeed. Discover every character's massive story and goals through the battles of the quest mode, choose between a total of 300 different branches knowing that every choice you make and every battle you win or lose has consequences on the rest of the story. Upgrade your character and enhance its physical and magical attacks, its ability to lift objects and even other characters, its speed and much more. In multiplayer, 1-4 players can compete simultaneously with up to 8 different fighters on the screen at the same time! Follow your character's journey in Quest mode, upgrade it, save it on your memory card and then challenge your friends in Combat mode with your very own personalized character!